Past pro-life president Sebastian Piñera was elected to serve a new term beginning in March 2018 following the term of pro-abortion President Michele Bachelet who oversaw the legalization of abortion in Chile. 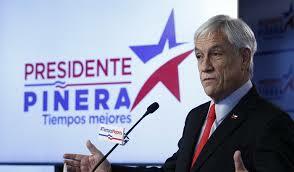 Piñera, who in the past has been recognized for his pro-life stand, has vowed that the “state will always be pro-life.” It is expected that Piñera will impede implementation of Chile’s August 2017 legalization of abortion for three exceptions but without majority party support in Congress or the Senate, his Chile Vamos (Let’s Go Chile) coalition will not be able to overturn the new law. Cabinet choices recently announced reveal the filling of two key positions with advocates for the right to life of unborn children. Isabel Plá, the new minister for women and gender equality, and the new health minister, Emilio Santelices, were both vocal opponents of the legalization of abortion.